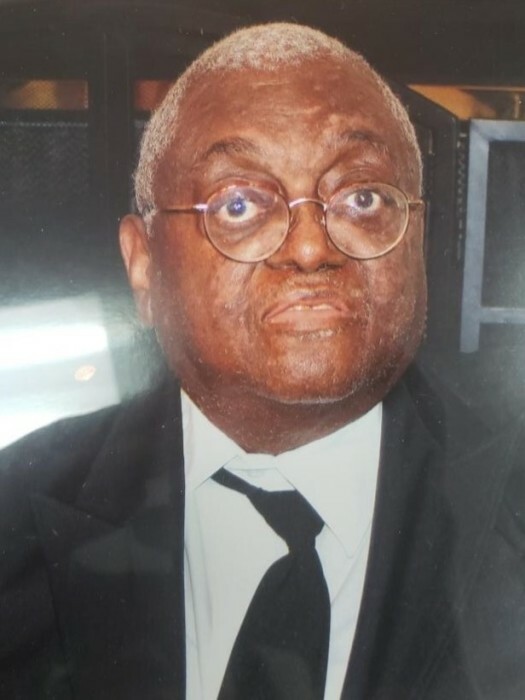 Obituary for Herman Buster Thomas | Carl M Williams Funeral Directors, Inc.
Mr. Herman Buster Thomas of Atlanta was born on June 25, 1947 in Quitman, Georgia to Herman and Betty Thomas. Herman enjoyed his upbringing in Chicago, Illinois with his three sisters, Sandra, Sheila and Alicia. He peacefully departed this life on August 17, 2018. Memorial service will be held on Wednesday, September 12, 2018 at 10 am in our chapel. Family and friends will assemble at the chapel at 9:30 a.m. Upon completion of his high school studies, Herman sought to complete post-secondary studies coursework in Atlanta, Georgia. It was at Morris Brown College where he did just this. This accomplished graduate of Morris Brown College did not rest upon his laurels as he rendered service in the Army National Guard. However, it was through the successful embracing of Herman’s career as a Court Liaison for the City of Harrisburg Department of Juvenile Justice in which he found professional satisfaction. Herman married Hilda Thomas, and while they later divorced, to this union three beautiful children were born, Gerald Thomas, Tamara Saucer, and Jason Thomas. Herman resided in Harrisburg, Pennsylvania for much of his life. Not one to simply work, Herman relished a life of service. It was in his commitment to his collegiate Greek-letter fraternity, Kappa Alpha Psi Fraternity, Inc., which was founded at Indiana University in Bloomington, Indiana, where he found an even deeper calling for his life’s work. Such a fraternity encouraged every member to attain achievement in their chosen field of human endeavor. This mission became dear to Herman’s life as he eventually became Polemarch of the Northeastern Chapter of Kappa Alpha Psi Fraternity, Inc. Not one to easily become content, Herman also became a Mason and a Shriner. As a possessor of a robust music collection, this lover of Jazz and Blues Music, found enjoyment in the finer things in life as he wore dapper suits and tuxedos. When Herman was not dressed up for grand events, he demonstrated great joy in supporting both Historically Black College and University football as well as his Chicago Bears National Football League team and fulfilling his appetite with barbeque. It is this palate which he would enjoy every day if he could. He was loved by many and had a special group of friends known as “The Six”. Herman had a big laugh that would make anyone smile. In addition to his sisters and children, his companion and confidant, Barbara Barksdale and two grandchildren, Marley Saucer and Olivia Thomas, will always share a love for such a laugh. While he will certainly be missed, he has left beautiful memories to comfort those who cherished him most. Survivors are his sisters, Sheila Armstrong and Alicia Thomas; children, Gerald Thomas, Tamara Saucer(Marcus Saucer), Jason Thomas (Ashley Thomas) ; and two grandchildren Marley Saucer and Olivia Thomas.